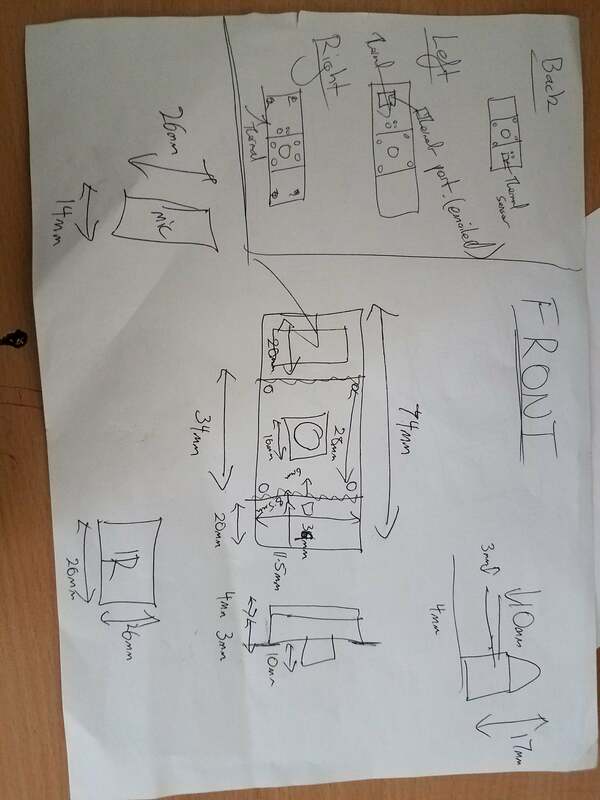 I have made a rough technical drawing of how all of our sensors are going to fit into the front of the robot. We are currently fitting the microphone, IR sensor and camera in the very front of the robot. The camera itself has to be centered so that the driver does not get disoriented while driving. Unfortunately, the IR sensor was a bit big for our original design (the allocated space in the chassis was 36mm by 20mm but the IR sensor itself was 26mm by 26mm.) but we have worked around this by putting it in front of the camera, in between the camera’s screws. It will overlap in front of the camera’s board by 4mm and will mean that the lens will be sticking out a little bit less. This new design is a lot smaller than S.A.R.T Mark II as the UDOO x86 Ultra and the cameras are a lot smaller. I based the technical drawing on this very rough draft Graham and Connor made. 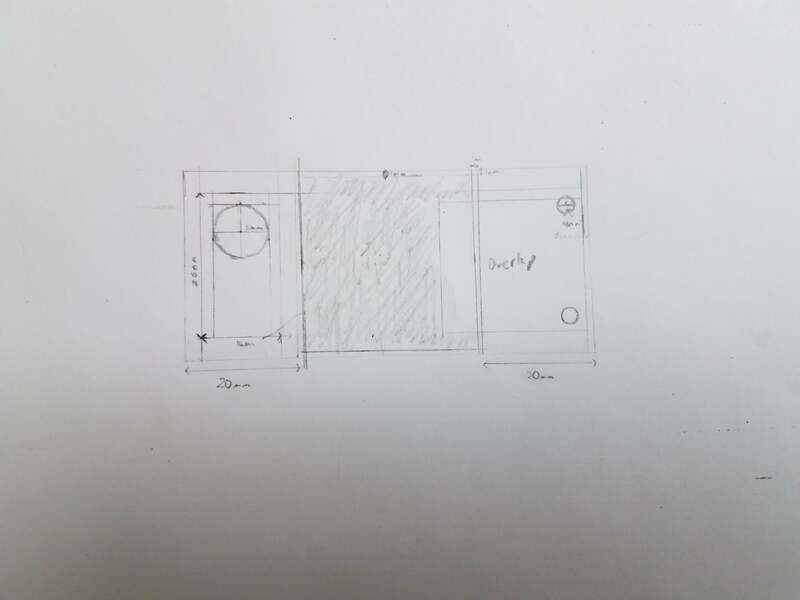 Joe is going to design the good copy of the chassis based on the technical drawing plus the actual size of the parts we have gathered so far. Joe has started on the design of the new chassis but we are a bit limited as the cameras have not arrived yet.